If you're suffering from a cold or flu, exercise needs to be avoided. But when is the right time to make a comeback? If you return too soon and have had a chance to properly recover, you could face a raft of health problems including winding up sicker than before. 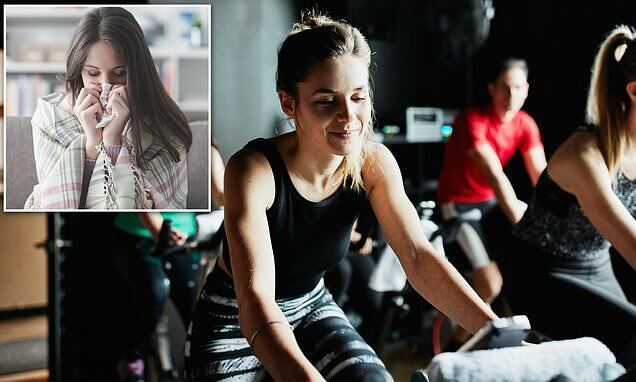 Speaking to 10 Daily, Australian fitness experts Libby Saliba and Josh Reed explain the best ways to ease yourself back into to exercise as well as outline the warning signs you're doing too much too soon. Libby, a leading fitness coach, told 10 Daily part of the problem with exercising after an illness is the body is generally in a stressed state from fighting infection. By pushing yourself further, there's the possibility you may suffer an injury. This can be a result of trying to train when your energy is low. If you're not back up to scratch before you start exercising, the flu or other fever-causing infections can resurface, or potentially get worse. She explains the immune system is already working overtime to fight off an infection. and said exercise can place physical stress on the body which makes the immune system's task more difficult.